From time to time I like to read my friend’s Blogs. Yesterday I read Terry Fisher’s Blog that he does with his daughter. I was a little bit set back by his latest post. Terry has been a dear friend for many years. We grew up in the Jesus Movement together. He graduated from Bible College and he has been a pastor at churches throughout the country. Currently he is a pastor in the Orlando area at Pinecastle Methodist Church. 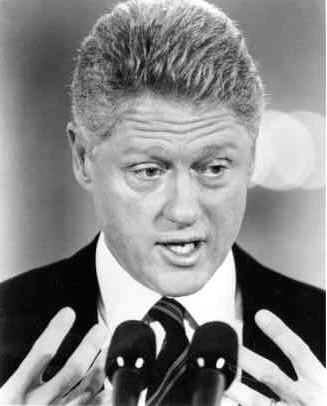 Terry was commenting on recent television appearances by Bill Clinton. Terry missed those Clinton years. Gasp!!! Marc is stymied and stunned! I am going to lay blame to all the years that Brother Fisher spent out in California. You know the Blue state, Red state thing. I can think of at least a dozen events that changed the world for the worst off the top of my head that were the result of the Clinton Administration. But do you know what? I got to thinking this doesn’t matter between brothers and sisters in Christ. As Christians, we had our beginnings from a group of Jews that believed Jesus was the Messiah. They worshiped the One True God as always, but they believed that the Messiah had come to save them. This group grew from a handful of men and women into the Catholic Church. The Catholic Church became Roman and Eastern Orthodox. The Eastern Orthodox subdivided into Greek and Russian. The Roman Catholic Church was challenged by Martin Luther because of practices that he felt were unjust and by Henry the Eighth, who wanted to remarry but could not get the Pope to annul his marriage to Queen Catherine. 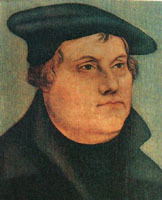 Martin Luther was excommunicated by the Roman Church for alleged heresy and founded his own community in Wittenberg in the German city of Halle. He translated the Bible from Latin to German. This allowed anyone who could read German access to The Word of God. His small community eventually grew into the Lutheran Church. King Henry decided to start The Church of England and proclaim himself it’s head. Hence we had men that protested against the Church of Rome and The Protestant movement was born. Of course it was not as simple as that because we are leaving out great saints such as John Calvin, John Knox, Jan Hus, Ulrich Zwingli and a host of others. Early on many of these men were murdered as heretics by fathers of the Roman Catholic Church. However life went on and the Roman Catholic Church underwent much change, much revision. The Protestant Church evolved into many, many branches. We all grew. We may cringe at the tenents of different churches but we can settle on the fact that we are brothers in Christ. 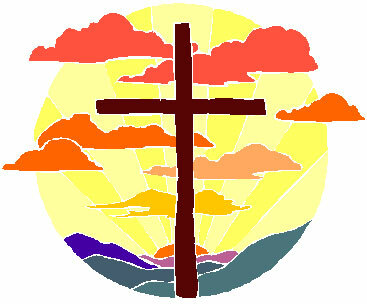 In fact the whole foundation of the Christian Church is Jesus the Christ. Terry and I can disagree on issues of the day and still respect each other, because we are brothers in The Lord. In 632 A.D. Muhammad died. The preceding decade brought about a division based on familial relationship to Muhammad. Ali, the cousin of Muhammad married Muhammad’s daughter Fatima. The Arabic name for those associated with Ali is Shi or Shi’Ali which was shortened to Shia. Where Shia had Caliphs and later Imams, Sunni had scholars and jurists, but no formal clergy. I could go on and on about Islam, but my point is that 1374 years ago Shiite and Sunni Muslims hated each other to the point of murder and nothing has changed. Christianity had it’s bleak, dark years but has grown and evolved. For two brothers of Islam a difference of political opinion may result in the murder of one of them. That is very sad. But for brothers in a common bond of the Lord Jesus Christ, we can agree to disagree as long as we agree that Jesus died for our sin.